Kelle Groom is a poet and memoirist. Her memoir, "I Wore the Ocean in the Shape of a Girl," is forthcoming from The Free Press, a division of Simon & Schuster in June 2011. She is the author of three poetry collections: "Five Kingdoms" (Anhinga Press, 2010); "Luckily" (Anhinga, 2006); and "Underwater City" (University Press of Florida, 2004). Her work has appeared in Best American Poetry 2010, The New Yorker, Ploughshares, and Poetry, among others, and has received special mention in the Pushcart Prize 2010 and Best American Non-Required Reading 2007 anthologies. She is the recipient of both a 2010 and a 2006 Florida Book Award and grant awards from the State of Florida, Division of Cultural Affairs, New Forms Florida, and the Barbara D Kelle Groom is a poet and memoirist. Her memoir, "I Wore the Ocean in the Shape of a Girl," is forthcoming from The Free Press, a division of Simon & Schuster in June 2011. She is the author of three poetry collections: "Five Kingdoms" (Anhinga Press, 2010); "Luckily" (Anhinga, 2006); and "Underwater City" (University Press of Florida, 2004). Her work has appeared in Best American Poetry 2010, The New Yorker, Ploughshares, and Poetry, among others, and has received special mention in the Pushcart Prize 2010 and Best American Non-Required Reading 2007 anthologies. 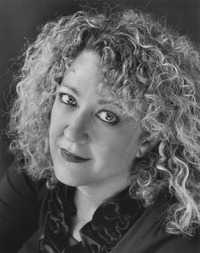 She is the recipient of both a 2010 and a 2006 Florida Book Award and grant awards from the State of Florida, Division of Cultural Affairs, New Forms Florida, and the Barbara Deming Memorial Fund. Groom has been a Norma Millay Ellis Fellow at the Millay Colony for the Arts, a William Randolph Hearst Foundation Fellow at the American Antiquarian Society, a Tennessee Williams Scholar at the Sewanee Writers' Conference, and has been awarded residency fellowships from Atlantic Center for the Arts and Virginia Center for the Creative Arts. She has taught writing at the University of Central Florida and is a contributing editor for The Florida Review. We’d love your help. Let us know what’s wrong with this preview of Keeper by Kasey Jueds. We’d love your help. Let us know what’s wrong with this preview of A Supposedly Fun Thing I'll Never Do Again by David Foster Wallace. We’d love your help. Let us know what’s wrong with this preview of The Reenactments by Nick Flynn. We’d love your help. Let us know what’s wrong with this preview of Train Dreams by Denis Johnson. We’d love your help. Let us know what’s wrong with this preview of The Lost by Daniel Mendelsohn. We’d love your help. Let us know what’s wrong with this preview of The Captain Asks for a Show of Hands by Nick Flynn.